Fresh new Star Wars T shirts by Numberine T shirts with an obvious Bristol flavour. 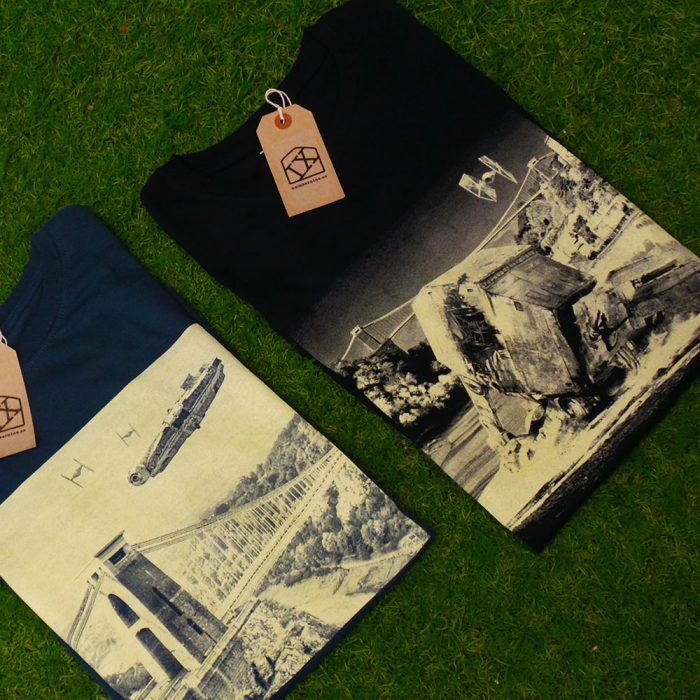 Featuring Bristol’s iconic Clifton Suspension Bridge, “Millennium” and “Walker Down” are available online in denim and navy blue respectively with more colour drops on the next reprint. 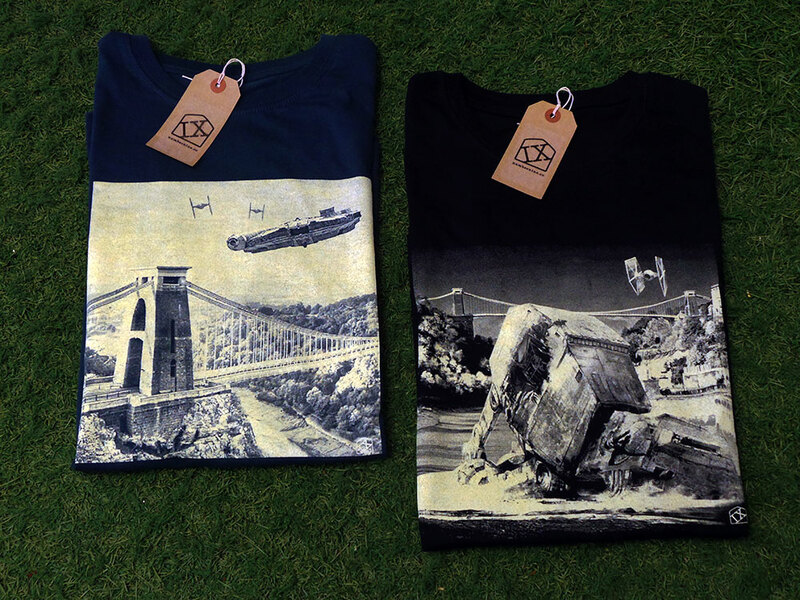 We’re sure these will be classic Tees for reppin’ Bristol and your Star Wars fandom. 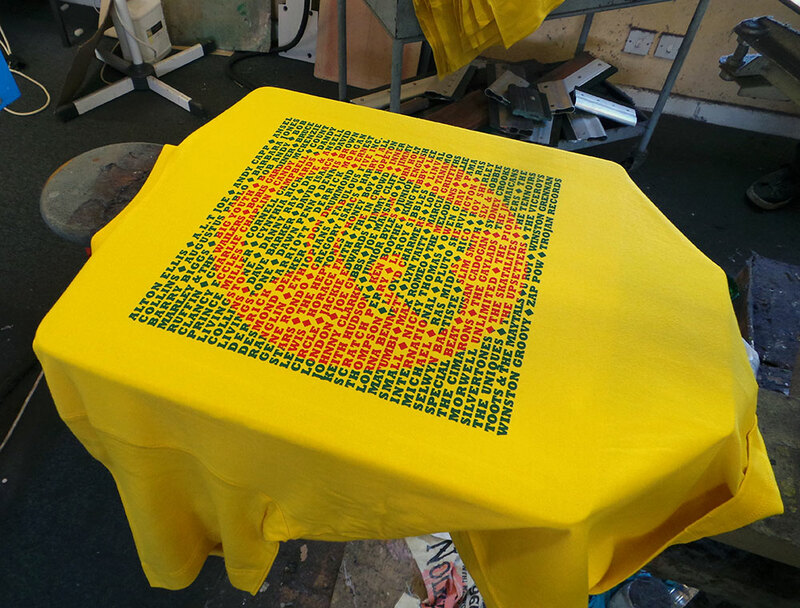 I had created an ‘artist’s impression’ of the new yellow T shirts, thinking red and green print on yellow would not only look great, it’d be perfect for a reggae based T shirt. However, the mock-up posted on the product page suggested otherwise. I dismissed this and put it down to it being a mock-up and not a picture of an actual real printed T shirt! I was confident that when actually printed, the colours “will look dope on that colour T shirt!”. They didn’t. It did remind me of having an eye test. On the yellow T shirts, the depth of the red and green colours was two close. The whole print was too dark to show the Trojan emblem prominently enough through the text – the opposite of what I wanted. The mock-up turned out to be accurate after all. 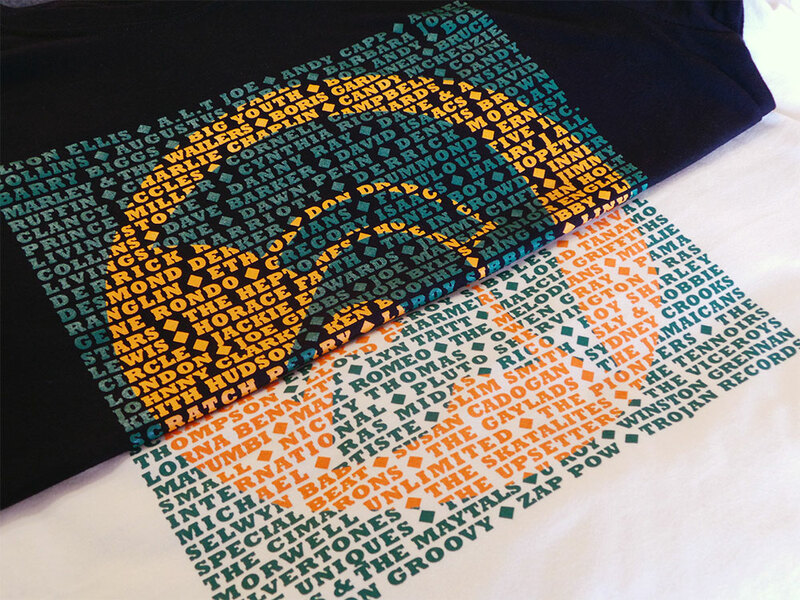 Trojan men’s T shirt – Red Gold and Green? 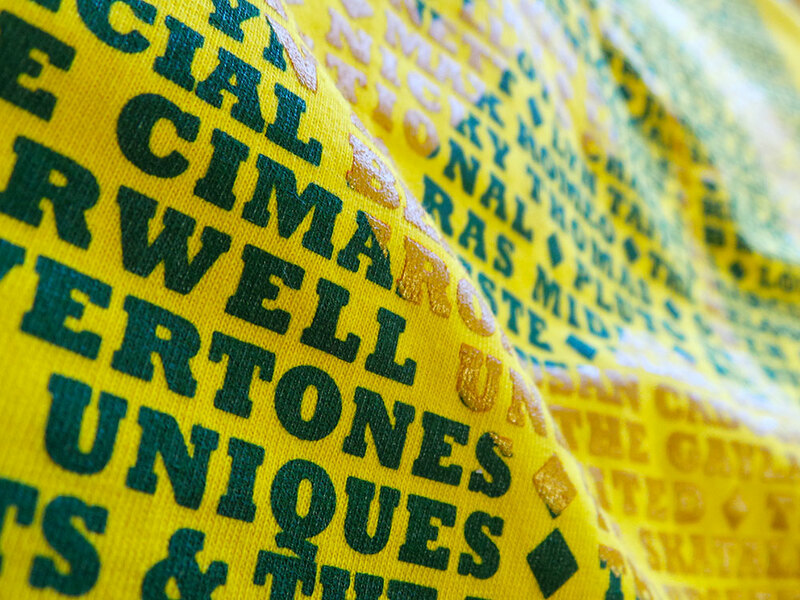 I was a little disappointed, but (and you have to stay on your feet in this game), I remembered that the last yellow uchi T shirt was printed using a dark golden yellow and the same green we were using, so… We overprinted the poorly chosen red with the dark yellow and this is what we got. They say hindsight is a beautiful thing. And with further hindsight, or, by paying attention to the rules of colour instead of getting sentimental about red, gold and green combos, maybe even these current colour ways could be better? If instead, green and gold were printed on the cream and the yellow T shirt had the green/orange combo. Perhaps? 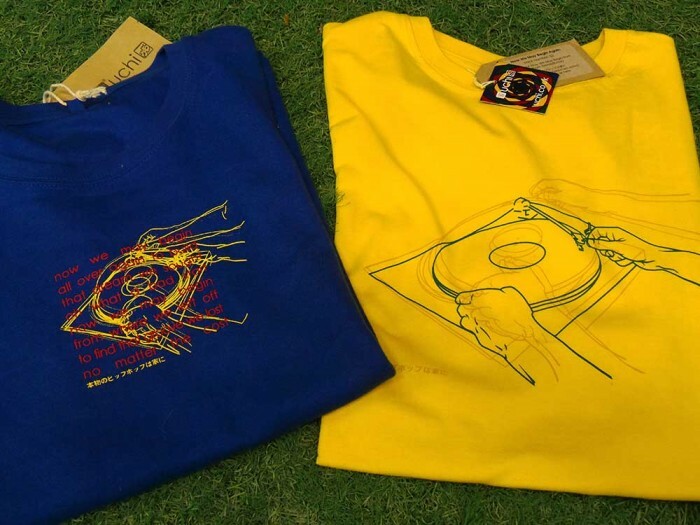 It is a very limited run, so the next cream and yellow Trojan T shirts will probably see a reversal of colours… maybe clear and red inks? Feel free to let me know what colour combo you’d like to see on a future uchi Trojan T shirt. Thanks as always to Screen One Printers, Bristol for their skills. 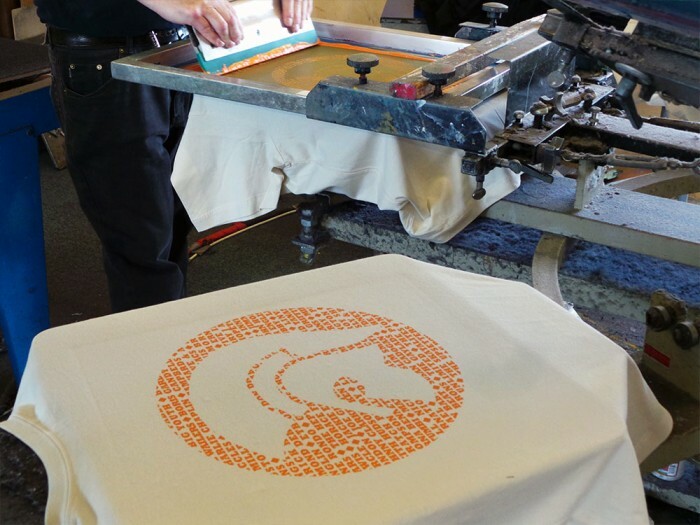 Here’s a short video from uchi clothing about the printing of “The Revolution Will Be In Avant Garde Gothic” T shirt and limited edition print. This design samples Gil Scott-Heron’s “The Revolution Will Not Be Televised” and features the typeface Avant Garde Gothic. Uneasy About Energy T Shirt? Fresh to OVER HERE. 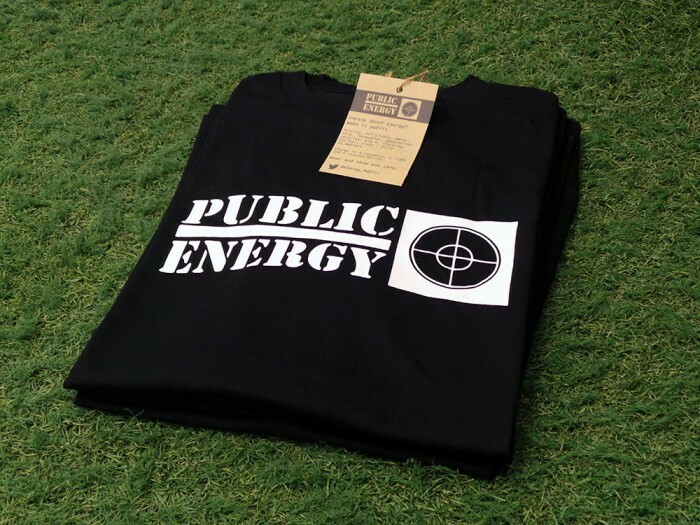 Green energy meets classic Hip Hop in a special edition T shirt. In the 80s LA rap act Public Enemy were politically charged, angry, frustrated and concerned. Thirty five years later we share much of their feelings as we are Uneasy about Energy and we wanted to make it public. Why make a Public Energy [sic] T Shirt? The huge issues around climate change demand us as a species to rethink many things that are taken for granted. Time is running out and equality and fairness should drive us forward. Energy is a resource but also should be seen as a right and therefore a responsibility. It matters. And people are right to feel angry about it. Here’s some old and new. 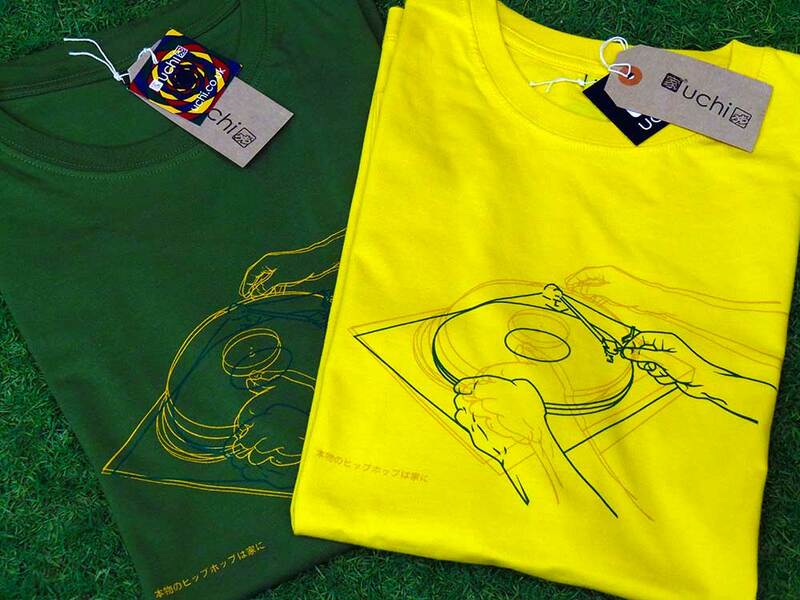 A look back at the original uchi classic T shirt No 18 – Now We May Begin and the 2016 remix, Now We May Begin Again. Fallback or ‘alternate’ content goes here.This content will only be visible if the SWF fails to load. The original images uses 4 photos from a series of 36 taken in sequence. From selecting the vinyl (Natural Selection) to the needle dropping on the record as shown on Always Use Clean Needles. The remix is more subtle than the original T shirt design. 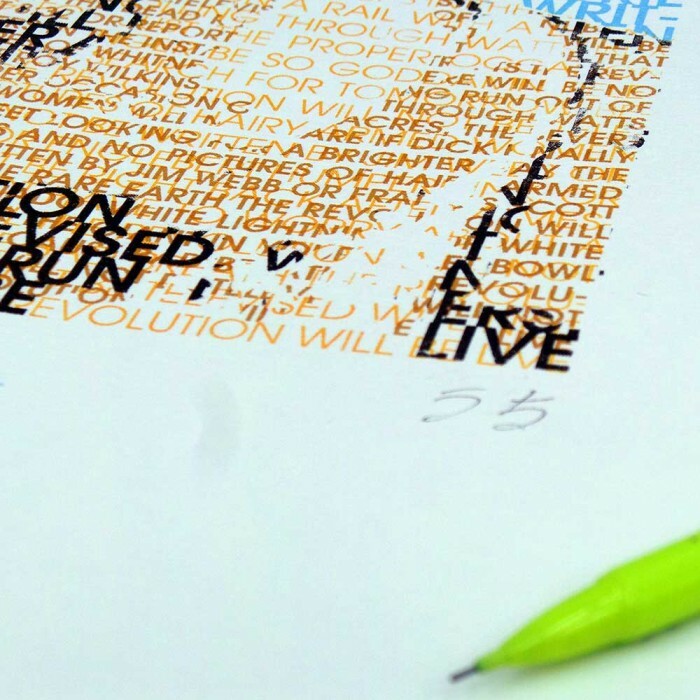 The “sample” – the first verse from Randy Crawford’s song of the same name has been removed and the lines redrawn for a bigger print.